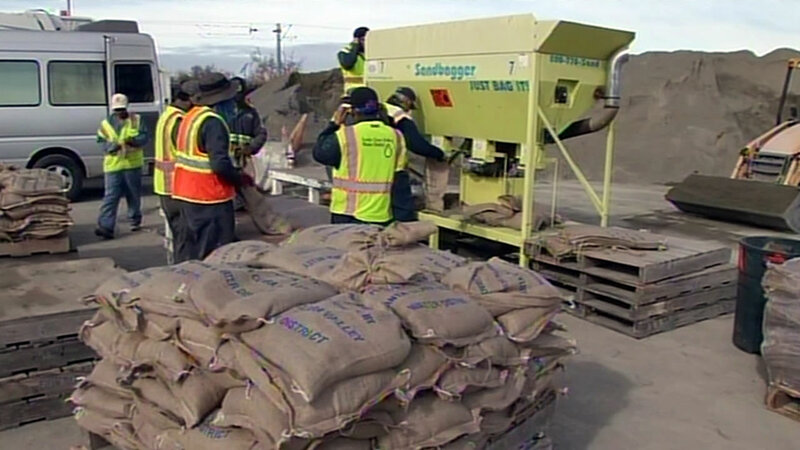 SAN FRANCISCO (KGO) -- Counties around the Bay Area are offering sandbags. Here's a comprehensive list of those that are and how many you're allowed to pick up. Public Works will provide San Francisco residents and business up to 10 free sandbags leading up to and during severe rainstorms. They are intended for properties prone to flooding. Sandbags can be retrieved Monday-Saturday, 8 a.m. to 2 p.m., at the Public Works' operations yard, Marin Street/Kansas Street gate. Bring proof of address. Sandbags also are sold at many local hardware and home improvement stores. Has a ton of locations and a number of bags per fill varies. Various locations to pick up and they are free. County residents in unincorporated areas may pick up sandbags free of charge at the following locations. There is a limit of 15 bags; requests for additional bags will be considered on a case-by-case basis. When you are done with them, feel free to bring them back to the yard for disposal or simply empty the sand on your lawn and throw the bags away. Note: Sandbags will be given out first Saturday of month from 9 to 1 pm. This will continue through winter months, depending on weather conditions. Additional locations may be available during storm preparation. Please call the number listed above for information. When flood or flash flood is declared, sandbag operations are initiated at Napa High School parking lot, corner of Jefferson and Lincoln. This is a self service program with sand and sandbags provided by the City. Residents need to bring their own shovel and gloves. St. Helena location open 24 hours. Fill your own. No limit. Their email said: "Anyone living in an incorporated town or city needs to check with their own municipality's Public Works department. We only have jurisdiction for unincorporated areas." Click here for full coverage on El Nino.